EuroCIS, Europe's leading trade fair for retail technology is coming soon! 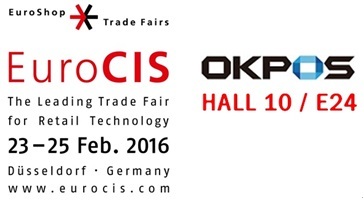 OKPOS will be an exhibitor this time with stylish and cutting-edge POS terminals. We would like to invite you to EuroCIS 2016. Your inquiries are warmly welcomed. Please contact us. See you at EuroCIS 2016!